The iconic marine creature develops white lesions on its limbs and within days can dissolve or “melt” into a gooey mass. Last year, researchers identified a type of pathogen known as a densovirus as the likely cause, but they still can’t explain the mass die-off three years ago or why a common ocean virus can wreak havoc on so many starfish species from Alaska to Southern California. Now, a group of young marine-disease researchers from around the country has contributed key information about the sea stars’ immune response when infected with this virus. The students, while taking a summer class at the University of Washington’s Friday Harbor Laboratories, looked specifically at how genes expressed themselves in both healthy and sick sea stars. It’s the first time researchers have tracked how the genes behave when encountering this naturally occurring pathogen, which could help explain how sea stars attempt to fight the virus and why they develop lesions and appear to melt. Roberts co-taught the five-week course in summer 2014 with the UW’s Carolyn Friedman, an associate professor of aquatic and fishery sciences, and Drew Harvell, a professor at Cornell University, with a focus on publishing results, methods and observations online using the Open Notebook Science Network. Students tracked their progress and discoveries through regular blog posts and videos, and all of their code and analyses are available for anyone to see and reproduce. This transparency, combined with the rigorous, all-consuming five weeks at Friday Harbor Labs, made it a useful and memorable experience, students said. Sharing their results in a paper published in open-access journal PLOS ONE was an added bonus for this particularly driven group of students, Roberts said. The paper-writing and submission process all happened after class ended for the summer. The eight students who share lead authorship on the paper met for hours on video conference calls, talking through specific details of the paper. The students — from the University of Texas at Arlington, Pennsylvania State University, University of California, Santa Cruz and others — all contributed equally to writing and editing the manuscript, housed as a shared Google document, which is a rare approach in today’s academic publishing world. 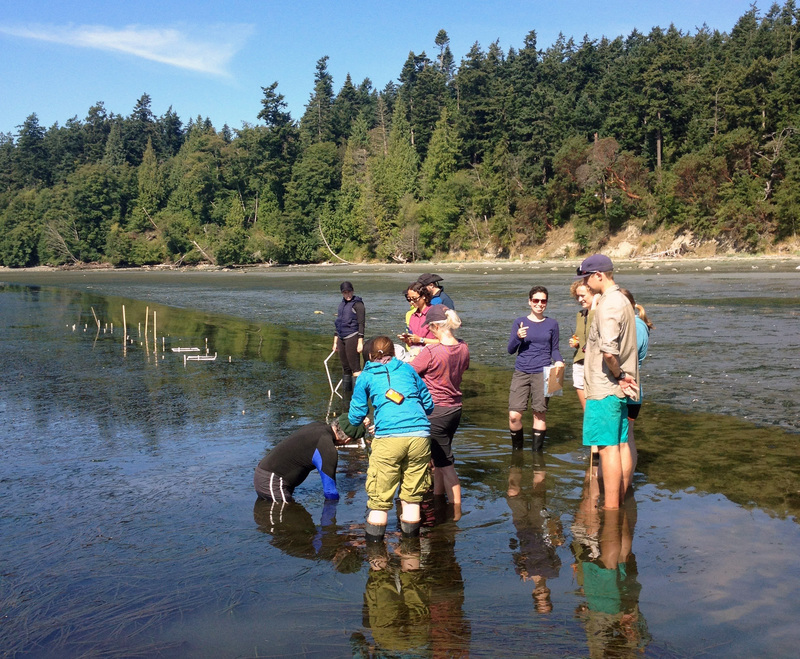 Before the students arrived at Friday Harbor Labs, the course instructors and research assistants collected sea stars from four sites in Washington, then infected some with the virus. They sent the samples away to get RNA data for each group of sea stars, then the students analyzed those data during class. The students started by looking at 30,000 genes from healthy and sick sea stars. They found that sick sea stars expressed genes differently than healthy ones, and they saw strong evidence of an immune response at the genetic level among infected sea stars. They also found that some of the genes involved in the nervous system and tissue-building were expressed differently in sick and healthy sea stars, which could help scientists better understand how the disease wreaks havoc on the sea stars’ bodies. Researchers now suspect certain environmental conditions or perhaps water temperature contribute to the rate of disease or how effectively the sea stars can fight it off. As scientists around the country shift to monitoring sea star populations as well as studying the genetic code of the densovirus, they hopefully can use this initial characterization of how sea stars respond to disease, Roberts said.